Messianic Jews accord Scripture a unique status as the inspired and authoritative Word of God. They study it, use it liturgically, and base their life and practice on it. However, Messianic Jews grapple with certain issues involved in biblical interpretation that are particularly relevant to Jewish followers of Yeshua. In the first two parts of this essay I will focus on how Messianic Jewish interpretation of Scripture is affected by interpretive traditions and how this leads to the task of shaping a post-supersessionist canonical narrative. In the third part I will focus on unique uses of Scripture in Messianic Judaism. In my conversations with Pastor Randy at the church I attend, the core of our conversations are on interpretation of the Bible. Pastor says that the first step in any proper interpretation is understanding the literal meaning of the text in its original language and within its context. I can hardly argue against that, but there are two additional steps: “what the text means” and “what the text means to me.” The former is an application of the text in its original context and the latter is an application of the text today. Hyper-literalists would say that the application of all Biblical text is uniform across time, being the same both the day it was written and right now in 21st century America. I don’t think I can go that far, since, for instance, many portions of scripture in Tanakh (Old Testament) and New Testament addressing slavery are not particularly applicable in today’s world, whether in Israel or the rest of the nations. But Dr. Kinbar suggests a finer degree of application depending, in this case, on whether one is or is not a Messianic Jew. We do know that, depending on whether one is an observant Jew or a Gentile Christian, certain passages of the Tanakh, specifically those often understood as “Messianic,” are interpreted differently, with the latter population seeing Jesus in the text and the former group seeing the future Messiah or sometimes national Israel instead. It’s what I keep trying to explain to Pastor Randy. Even multiple parties who are honest and who seek truth can arrive at different interpretations of the Bible depending on who the parties are and how they’ve been “programmed” to interpret the Bible, sometimes just based on who they are (the ultimate arbiter of scripture may be the Holy Spirit, but that doesn’t prevent many people of good faith and character from interpreting scripture quite differently from one another, sometimes even within the same church). But Christians will always see Jesus in Messianic texts. Religious Jews, not so much. Now Kinbar is factoring Messianic Jews into the equation in his article. What can we expect? Perhaps no one specific application. That’s something of an adaptation to how Orthodox Jews see Biblical interpretation. My wife occasionally quotes our local Chabad Rabbi as saying that the Bible cannot be interpreted correctly except through tradition, which in this case, means the traditions of Orthodox Judaism. According to Kinbar, Kinzer includes Jewish and Christian traditions as part of the requirement for correct Biblical interpretation, but Jewish and Christian interpretive traditions (and make no mistake, Protestant Christianity does have traditions for interpreting the Bible) are often at odds with each other, including the rather critical element of identifying the Messiah. Establishing the particulars of which traditions to use from each religious perspective must be an enormous challenge. But there’s more than one way Messianic Jews look at this matter. (Daniel) Juster argues for a more cautious approach toward Jewish tradition, asserting that “only biblical teaching is fully binding, whereas other authorities might be followed because we perceive wise application or respect community practices.” In other words, Scripture is the measure of tradition, never the reverse. Juster does not address the claim of traditionalists that the cumulative weight of centuries of interpretation is necessarily of greater weight than the judgment of the individual. The positions of Juster and Kinzer on the place of tradition in the interpretation of Scripture represent the views of two branches of Messianic Judaism and are emblematic of broader disagreements in the movement over the place of traditional practices in Messianic Jewish life. How I define Messianic Judaism is fairly conservative, and possibly closer to how the contributors of the Rudolph/Willitts book see the definition as opposed to how Hebrew Roots identifies the movement. I see Messianic Judaism as a “Judaism” (most or all of the other “Judaisms” in the world will disagree), that is, a religious, cultural, and ethnic group made up primarily or exclusively of Jewish people who are desiring to establish and nurture a Jewish cultural and religious community for the purpose of worshiping the God of Israel and having “fellowship” with other Jews. The distinction of “Messianic Judaism” is the centrality of Yeshua (Jesus) as the Jewish Messiah King in accordance with his revelation in the Apostolic Scriptures. 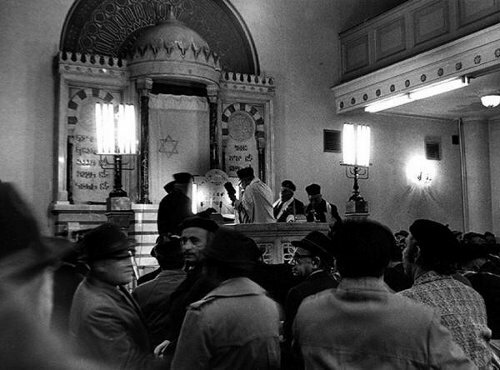 I’ve periodically encountered Hebrew Roots congregations (including the one I once attended and taught at) that have defined themselves as “Messianic Judaism,” in spite of the fact that few halachically Jewish people made up their membership and even fewer Jews within that group were born and raised in an ethnically, culturally, and religiously Jewish family. Few of the Jewish people within a Hebrew Roots “Messianic Jewish” group have any more familiarity with Jewish halachah and worship practices than the non-Jews in attendance. I base that statement on personal experience, and since I have little to no equivalent experience in more “authentic” Messianic Jewish congregations, I cannot comment on the membership demographics of their groups. I can only say that the ideal of Messianic Judaism is to provide Jewish communities for Jewish worshipers of God and disciples of Yeshua the Messiah, with some Gentile believers attending to “come alongside” their Jewish brothers and sisters. But returning to Messianic Judaism and interpretation of scripture, there are a few important matters to address. Kinzer remarks that Christian theology generally ignores the eschatological character of Israel’s holiness and accentuates the “discontinuity between Israel’s covenant existence before Yeshua’s coming and the eschatological newness that Yeshua brings. Messiah is thus exalted by the lowering of Moses and Israel.” To the contrary, God’s presence with Israel is an ongoing reality that always anticipates the time of consummation. Kinzer agrees with (R. Kendall) Soulen’s argument that the death and resurrection of Yeshua anticipates what will be achieved for Israel and the nations at the time of the consummation of all things…Israel’s vocation is thus not occluded but brought to a new height in Yeshua, the one-man Israel. The person and work of Yeshua may thereby be seen in the context of Israel’s ongoing life and vocation and not its replacement. In other words, the coming of Jesus didn’t do away with Israel and the Jewish people but insured their continuation into the future Messianic age. A rather radical thought for many Christians to absorb. But it’s not just Israel’s continuation as a wholly Jewish nation and people, but their ascendency to the head of the nations and the core of Christ’s Kingship on Earth that is being presented. Israel isn’t replaced by Christianity but rather, placed at the head of the table, so to speak. The Jews not only have a future, but an exalted and glorious future. This is a unique interpretation of the Bible, not so much for religious Jews in general, but for Jews who believe that Jesus is the Messiah and who see him in both the prophesies of the Tanakh and the words of the New Testament. There’s just one more unique Biblical interpretation attributed to Messianic Judaism I want to point out. Among the Scriptures, the Torah (the five books of Moses) holds a primary place in the history and affections of the Jewish people as the record of the progenitors of Israel and the formation of Israel as a community bound to God by the commandments (also called collectively “the Torah”). 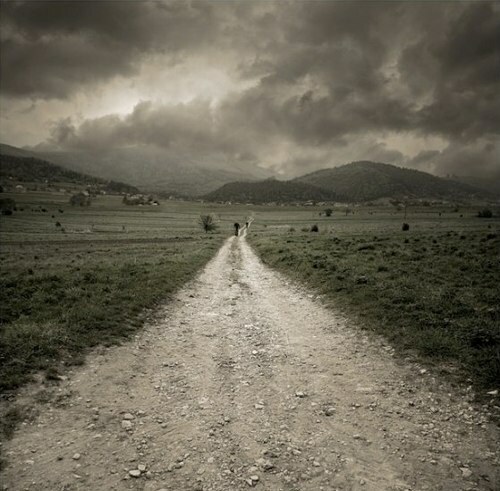 Mainstream Messianic Jews, especially those who adhere to Jewish tradition, depart from the classic Christian teaching that the Torah was made obsolete in Messiah. Rather, they see that Yeshua has affirmed the Torah as the basis for life of covenant faithfulness in keeping with their calling as Jews (Matt 5:17-19). Pastor Randy and I go back and forth on this particular issue, and I continue to maintain, in agreement with Kinbar, that Torah observance for Messianic Jews remains in force if, for no other reason, than such observance defines Messianic Jews as Jews. There may be a variety of other reasons for the continuation of Torah observance within the Messianic Jewish community, but if we believe that Yeshua and subsequently the Apostles, including Paul, supported such observance (and I’ve been writing a good deal lately about Paul’s life of Torah observance) as a life long pattern for Jews in the Messiah, then these are compelling reasons not only for Messianic Jews to interpret scripture in this manner, but to continue to live their lives in accordance with the commandments, as do other Jews in other branches of religious Judaism. But this is just the beginning, and Messianic Judaism, relative to scripture and a good many others elements, has a long way to go. 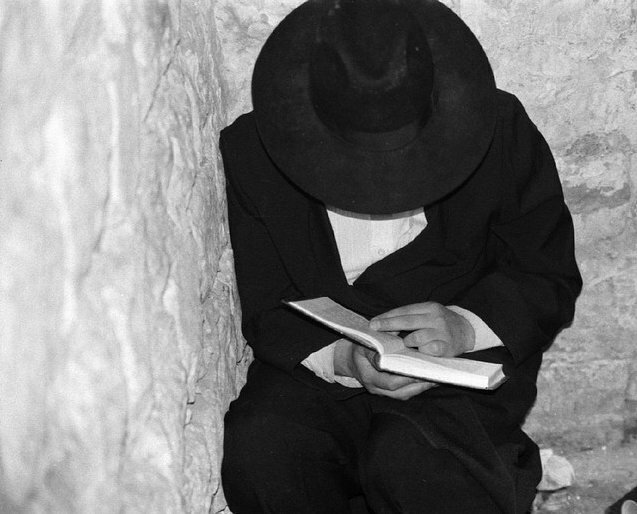 The Messianic Jewish construal of the relationship between Scripture and tradition is in flux. Messianic Judaism is still in need of a canonical narrative that is clear and comprehensive, accounting for Israel’s ongoing vocation as a holy people. Of all of the contributors to the Rudolph/Willitts book, only Carl Kinbar (as far as I know) regularly (or periodically) reads this blog and occasionally comments on it, so if I’ve gotten anything wrong in my analysis of his article, I can expect he’ll come by to correct me. While this is slightly intimidating on one hand, on the other, it is rather comforting since it is part of the expected and required dialogue between Messianic Judaism and Gentile Christianity that David Rudolph expressed earlier in the book. If, as I believe, Gentile Christians have a major role in supporting Israel and encouraging Messianic Jews in taking up and observing the Torah mitzvot as part of the process of a returning Messiah, then conversation and cooperation between our two populations within the body of Yeshua brings us one step closer to repairing our broken world and anticipating the return of the King. Your description of Messianic Judaism is not a reality, majority of Messianic Judaism is made up of gentiles, and no, I am not talking about Hebrew Roots. Messianic Judaism needs to kick the gentiles out in order to fulfill their dreams, this has yet to happen… With that said, your description of Hebrew Roots as compared to Messianic Judaism is misleading, both are majority gentile participants. It’s only when we unabashedly trust that God is in control, wise, merciful, just, sovereign, the Ancient of Days, and actually does know the beginning from the end, that we can stop acting like He made a huge blunder regarding Israel. Just like every suffering servant prophecy came to pass, so will the yet future David prophecies come to pass. Just like He knew that Israel would eventually turn away and literally be scattered, He will also literally regather them, restore them, and redeem them. After all, He said so. I can only say that the ideal of Messianic Judaism is to provide Jewish communities for Jewish worshipers of God and disciples of Yeshua the Messiah, with some Gentile believers attending to “come alongside” their Jewish brothers and sisters. Yes, it’s the ideal, not the currently lived reality. Also, if you’ve been reading my other “mini-reviews” on this book, you’ll see, particularly in this meditation, that Messianic Judaism isn’t defined in isolation from Gentile Christian involvement and participation. My point is that, even if Gentiles are a majority population within Messianic Jewish synagogues, that doesn’t mandate that we overrun the silo and marginalize Jews within their own congregations just because we can. That’s probably not what you’re suggesting, but it’s a consequence of Gentiles “taking over” the Messianic Jewish space by claiming an identical identity (albeit by being “grafted in”). 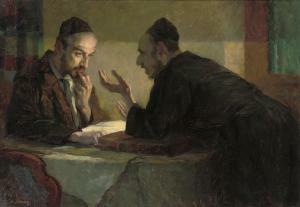 One apparent difference between Messianic Judaism and Hebrew Roots, even acknowledging that both have majority Gentile populations, is that Messianic Judaism is designed to preserve Jewish identity and covenant uniqueness and to encourage Jewish return to God and the Torah within the Messianic space, while Hebrew Roots (in general) tends to dismiss Jewish identity uniqueness by eliminating any distinction between Jewish “choseness” and Gentile “grafting in.” As Rudolph said when defining Gentiles “coming alongside” Messianic Jews, one of the roles of the Christian Gentile is to support the Jewish people returning to Torah. We can’t support Jewish uniqueness if we fail to recognize it. I see Messianic Judaism as a “Judaism” (most or all of the other “Judaisms” in the world will disagree), that is, a religious, cultural, and ethnic group made up primarily or exclusively of Jewish people who are desiring to establish and nurture a Jewish cultural and religious community for the purpose of worshiping the God of Israel and having “fellowship” with other Jews. I was saying the way you see it, is not a reality. Reality is in the eye of the beholder, Zion. I agree that the Torah has universal application across all populations (“thou shalt not murder” and so on), but that it has a unique application to the Jewish people based on their being chosen at Sinai. As you may have seen, I’m having a bad day, so if you want to argue, go ahead. I need to get used to the idea that most people would rather discuss the minutiae of religious practice while other people are in hospital beds trying to come to terms with having their limbs blown off by a terrorist. Thanks for the review, James. I have no bones at all to pick with you. Thanks for your comment and your kindness, Carl. I’m very gratified to be able to read the book and your contributions to it.